#food, #foodie, #foodstagram, #foodporn, #nomnomnom… half a billion pictures of food have been uploaded to Instagram with these popular hashtags, demonstrating that food is still hugely popular on social media. The food Instagram phenomenon has also led to a rising trend for foodie tourism, with new research from Heathrow showing that one in seven UK travellers has chosen a holiday destination purely for the Instagrammable cuisine. Over a quarter (27%) say they enjoy their holiday more when uploading pictures of dishes to Instagram, while one in five travellers (18%) will only choose to visit restaurants serving food they think looks good on Instagram. While millions are eagerly snapping and sharing food images on their travels, the quality of these photos can vary. 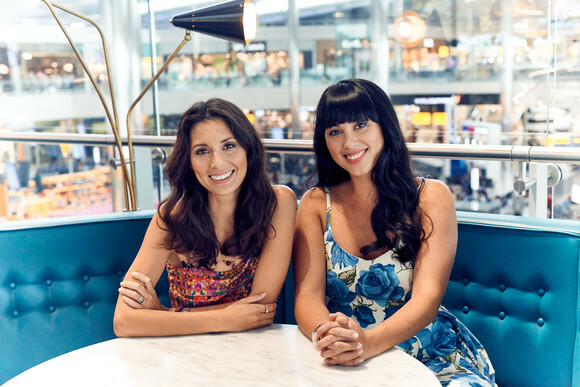 Heathrow has today become the first airport in the world to enlist ‘Food Instagram Ambassadors’- in the form of culinary superstars Hemsley + Hemsley to help travellers take the best Instagram food shots before jetting away. Jasmine and Melissa Hemsley share their top ten tips to taking beautiful foodie snaps that are guaranteed to smash the ‘likes’ PB every time. A tutorial video, can be viewed on Heathrow’s free Wi-Fi portal and on YouTube here: www.youtube.com/LHRHeathrow. Hemsley + Hemsley’s tips for taking the most Instagrammable food photos ever include getting the perfect lighting (and never ever using the flash! ), rearranging food to make it look more striking, framing dishes creatively to fire the imagination and they advise on how to develop a signature Instagram style. Passengers are encouraged to visit any of Heathrow’s exciting restaurants before their flights, order a delicious dish or drink, watch the Hemsleys’ ‘how to’, then put their newfound photographic knowledge into practice before jetting away for more amazing gastronomic and photographic adventures. Table cards on tables will feature the top five tips and menus will host some of the best Insta dishes. “We know that now, more than ever before, people will eat with their eyes first, predominantly using their phones to search for and choose dishes and destinations that look the best on a plate. For each foodie location featured in the guide, the Hemsleys have shared the food and drink items dominating Instagram feeds and menus across the globe; including Toronto’s charcoal pizza craze, Singapore’s Raindrop Cakes, Frosés in LA and the Big Apple’s clamour for egg waffle ice cream cones. Restaurants across Heathrow including The Perfectionists’ Café, The Gorgeous Kitchen and Gordon Ramsey Plane Food are getting in on the act, serving up delicious dishes that are highly Instagrammable and inspired by the 10 foodstagram hotspots from the #TastetheWorld guide. 2. Research conducted by OnePoll on behalf of Heathrow Airport in June 2017 with 1,000 UK adults. This entry was posted in Airports, Food & Drinks, Travel, Travel Marketing, Travel Services, Travelers and tagged #foodie, #foodporn, #foodstagram, #nomnomnom, food Instagram, heathrow airport, Hemsley + Hemsley, Jasmine and Melissa Hemsley, ‘Food, ‘Food Instagram Ambassadors’. Bookmark the permalink.